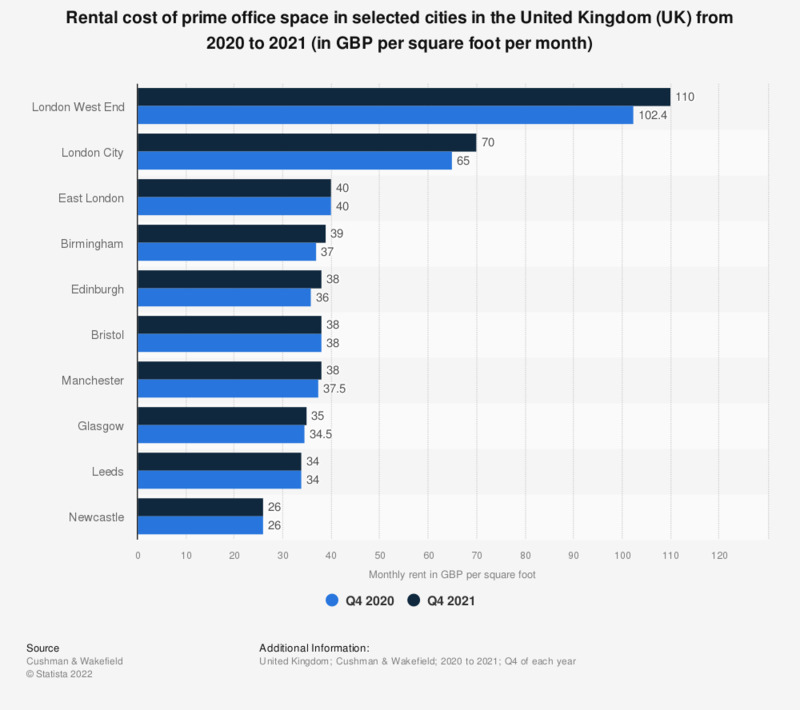 This statistic displays the most expensive cities for prime office rents in the United Kingdom (UK) as of December 2018, excluding London. As of December 2018, it can be seen that Reading was the most expensive location within the UK for prime office rents outside of London, with an average price reaching 459 euros per square meter per year. This was followed by Bristol and Edinburgh with 417 euros per square meter per year.